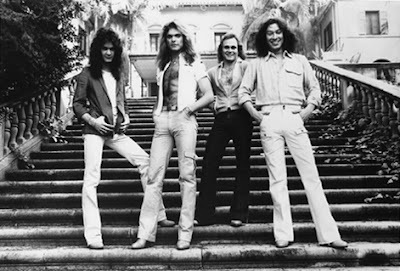 In April, vintage concert footage of Van Halen performing “D.O.A” at the Selland Arena in Fresno, California in 1979 on the opening night of their second world tour surfaced. The performance of the “Van Halen II” track followed then-recently-posted clips from Fresno shows in 1978 and 1979 that were remastered frame by frame in uncompressed HD “from my original Fuji single-8 films”, according to the source. The footage has been available online for years; an upgraded version was posted in 2010, but the latest videos are the highest-quality, direct-from-source material to surface to date. Check out the No. 3 hennemusic story of 2014 on VAN HALEN here.